What are the latest trends in the eid Mehndi designs? Decorating the hand with the Mehndi is not a modern trend. It has a rich historical background. Applying Mehndiis a custom in many South Eastern Asian countries. Mostly, the Arabic countries, Pakistan, India are some of the nations where you can see the massive use of the applying henna. 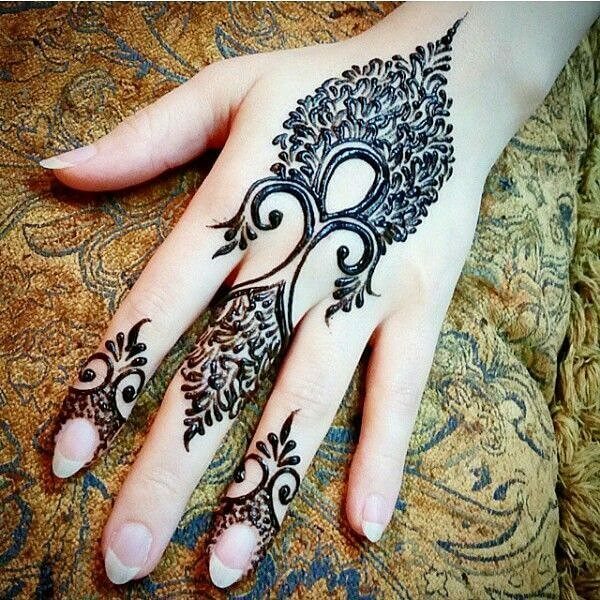 The henna not only use in decorating the hands and the feet but the usage of henna has a wide range. The latest trends in the designs of the Mehndi are now changing through time. Therefore, if you are planning to decorate your hand with Mehndi, then this short if piece might help you to choose the suitable Mehndi. As the Eid ceremony is approaching, you may be thinking of applying Mehndi in your hand. Then the floral art can be one of your Mehndi choices. The artwork includes a simple flowery design ion the center of the palm. The fingertips are filled with the henna. The fingers may decorate with the curvy leaf-shaped patterns. If you love minimalistic art in your hand, then the simple flower design will be suitable for you. It also takes less time and even less tedious work on hand. In the eve of the Eve, the many Muslim Women applies Mehndi as it considered as the holy thing in the Muslim religion. Therefore, many women decorate their hand with lots of motifs. They include the term ‘Eid Mubarak’ in their hands to mark the celebrations. The Arabic designs of the Mehndi are little different from the Indian and the Pakistani Mehndi designs. The Arabian designs mainly include the floral patterns with a lot of other motifs. However, the principal attraction of the Arabic Mehndi is that the Mehndi applications starts from the elbow and reaches the end of the fingertips. The Arabic designs mainly consist of the spiral flowers. The recent trends in Mehndi are now making a pattern in both hands which can come up with a more significant object when you see the hands closely. Nowadays, the heart-shaped designs are tending in Pakistan and Indian subcontinents. The trends are mostly predominant amongst the young girls during the Eid festivals. The eid mehndi designs are pretty simple, and it takes very less amount of time. There are many Mehndi designs, but the choices of designs aremostly based on the preferences of the young ladies. The selection of the designs of the Mehndi reflected the personality. However, if you are planning to decorate your hand with the mehndi on the eve of the Eid, then you can go through the designs mentioned above.